"Do you have a paper that when copied cannot be read?" As you know .... everything can be copied ! a special embedded hidden message will appear on the photocopy. this hidden message will obscure the text on the photocopy. 60# Security Paper with Ink and Toner Erasure Protection. Recommended for Booklets, Manuals, Financial Reports and all Confidential Documents. only when text and images are printed in a light gray color. Recommend printing text 20% black. You may have to experiment to determine the best precentage. 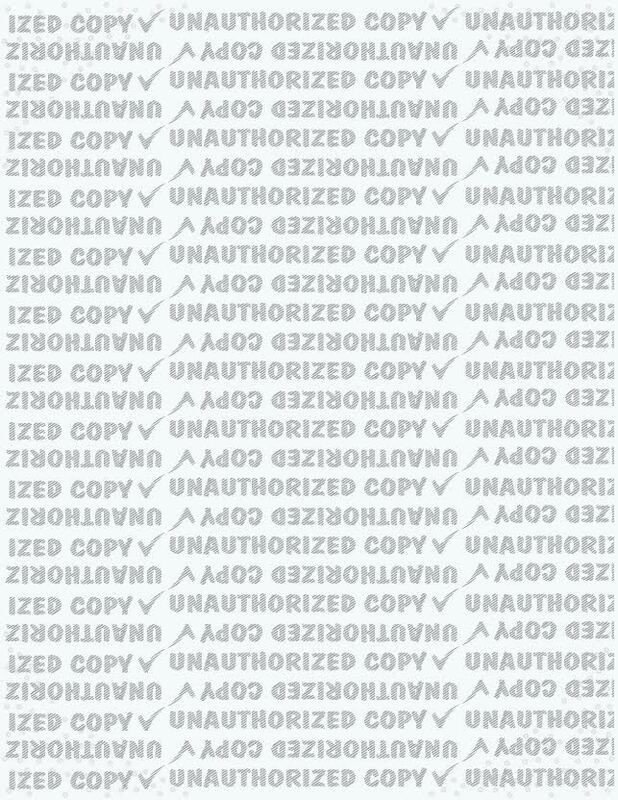 OMNI DIRECTIONAL "UNAUTHORIZED COPY" message is activated when document is photocopied using most black/white and color copiers. Hidden Message Security ON BOTH SIDES of the sheet. Micro Format's LUMINARY TECHNOLOGY™ disrupts and prevents the ability of high resolution color copiers to duplicate a document printed on COPY OBSCURE PLUS.